Camera-Less BlackBerry Bold Coming to Sprint? Rumors about two new BlackBerry devices, the Bold 9650 and Pearl 3G, leaked online early Monday just hours before the new devices were believed to debut. BlackBerry maker Research in Motion was expected to unveil the new handsets during the company's keynote address at the Wireless Enterprise Symposium in Orlando, Florida. It appears, however, the financial Website The Street has beat RIM to the punch with a limited report on new specs for the two new devices. Despite the leak, the new handsets come as no surprise, since both the BlackBerry 9650 and Pearl 3G have been making the rounds on gadget rumor blogs for several months. 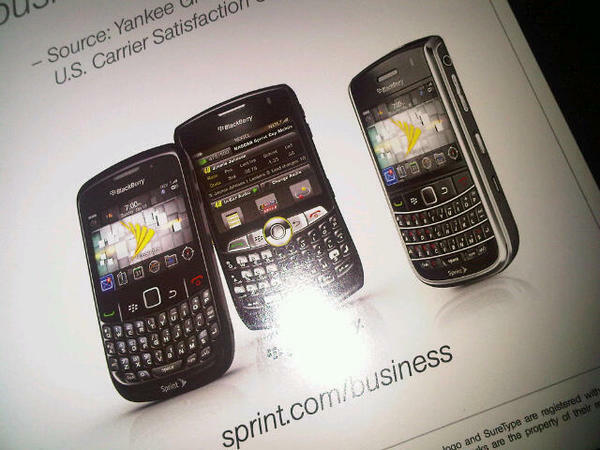 Then, on Sunday, Al Sacco from CIO.com (a sister publication of PCWorld) released a photo via Twitpcic of a Sprint advertisement from the WES 2010 promo notebook that included the Bold 9650. 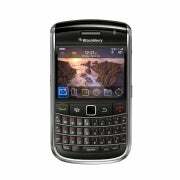 The successor to the BlackBerry Tour 9630, the Bold 9650 will reportedly have a 3.2-megapixel camera, GPS, 802.11b/g Wi-Fi, and will come with quad-band GSM and dual-band CDMA/EV-DO capability. The new handset is also said to have a high-resolution screen, but there's no word on what the actual display specs might be. 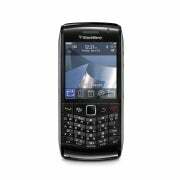 Like the Bold 9650, the Pearl 3G will also come with a 3.2-megapixel camera and a high-resolution screen, but the Pearl 3G will be exclusively a quad-band GSM phone with no CDMA capabilities--typical of most Pearl devices. The Pearl 3G will also have slightly better Wi-Fi connectivity than the Bold, using the newer 802.11n standard as well as backwards compatibility with b and g networks. Both devices will use the new Blackberry trackpad in place of the old trackball. As mentioned above, it appears the Bold 9650 will launch with Sprint in the United States, but there's no word on a U.S. carrier for the Pearl 3G. Pricing details and availability were not released. The Street's report contradicts Bold 9650 rumors from earlier this month from the blog Crackberry, which claimed the Bold 9650 would be launching on Verizon on May 27. Another popular Bold 9650 rumor said Sprint would be getting a version of the device without a camera, but it's not clear if that rumor will be proven false or not. RIM is famous for its inability to keep its upcoming device's locked down, as photos and screenshots of products in development frequently leak online. Earlier this month, Boy Genius Report posted purported screenshots of the next iteration of the Blackberry OS and a new flip phone called the Blackberry 9670.